The digital transformation is disruptive, not very predictable and has very fundamental consequences. Digital technologies are also changing health care. But the research-based pharmaceutical companies recognize extraordinary potential for the prevention, diagnosis and treatment of diseases. Established and new stakeholders are developing innovative solutions and expanding traditional structures and ranges. Cooperation and exchange in health care is also becoming more decentralized, more linked-up and more direct. Based on new digital technologies, the result is the formation of new partnerships and care networks to improve medicine for the benefit of patients. But to turn the opportunities and challenges of digitization into a success story, there needs to a common direction and collective action. Signs of this development can be found in many health systems around the world, often further advanced than in Germany (e.g. Denmark, the Netherlands or Switzerland). 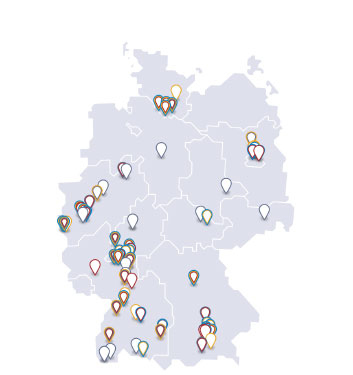 In the international race for innovation, the German health sector relies on a strong location with reliable framework conditions and openness to innovation. That is why medical technology, biotechnology, health IT and the research-based pharmaceutical industries have joined forces to push forward the development of a national eHealth vision and the implementation of an eHealth strategy derived from it. The participating organizations have further developed the call for a joint position paper. Central challenges are summarized across the industry sectors in this discussion proposal. For example, it contains a proposal for standards on the use of research data or on the interoperability of medical IT systems. It is now essential that the common direction is mapped out together with all partners in health care and under political moderation. The paper is a practical proposal and stimulus for this. What answers do the research-based pharmaceutical companies have for successfully shaping the digital transformation and on improving patient care: What does digitization mean for the research-based pharmaceutical companies and what recommendations does the vfa have in mind for a digital management strategy? All these answers are summarized in the brochure "Active involvement to shape the digital transformation in the health system". vfa brochure "Active involement to shape the digital transformation in the health system - 5 recommended actions"